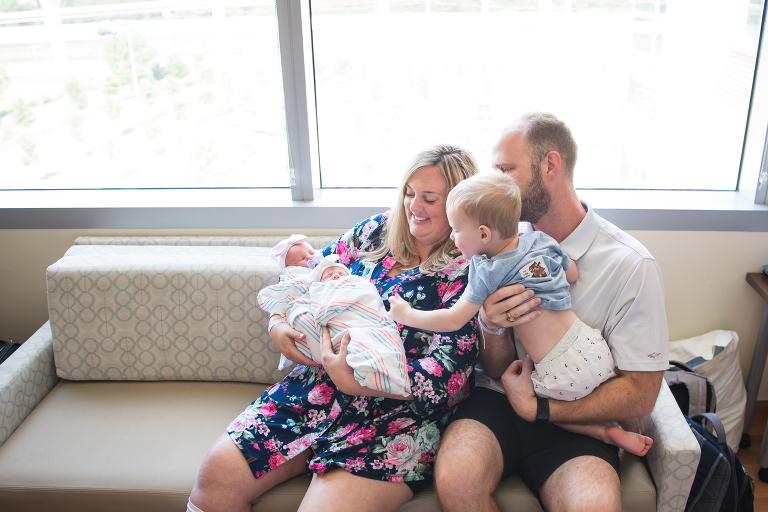 May has been the month of twins here in The Woodlands! I have three sets of twins on my schedule for this month which is very unusual! I can’t wait to show you all of the cuteness that is coming your way! 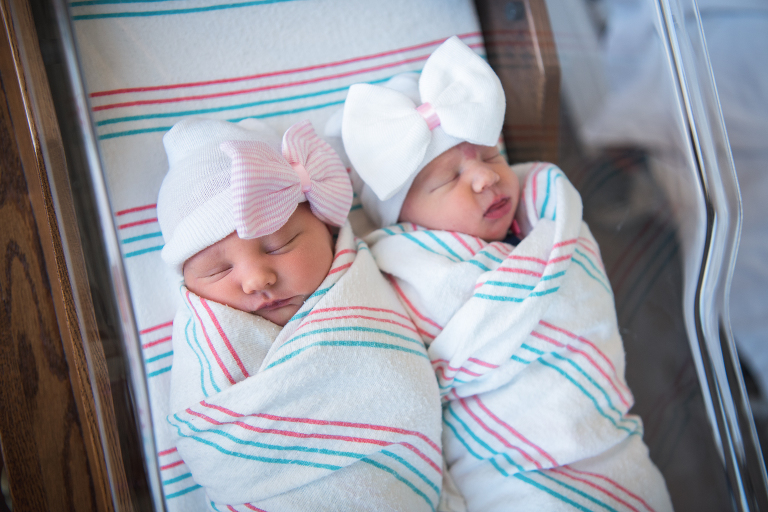 These sweet girls were born at the Houston Methodist- The Woodlands Hospital. I love my Fresh 48s at the Methodist hospital because the windows are huge! They really light up the room ad give my clients a bright and airy look! Fresh 48 portraits can really vary in their appearance based on the available light in your hospital room. 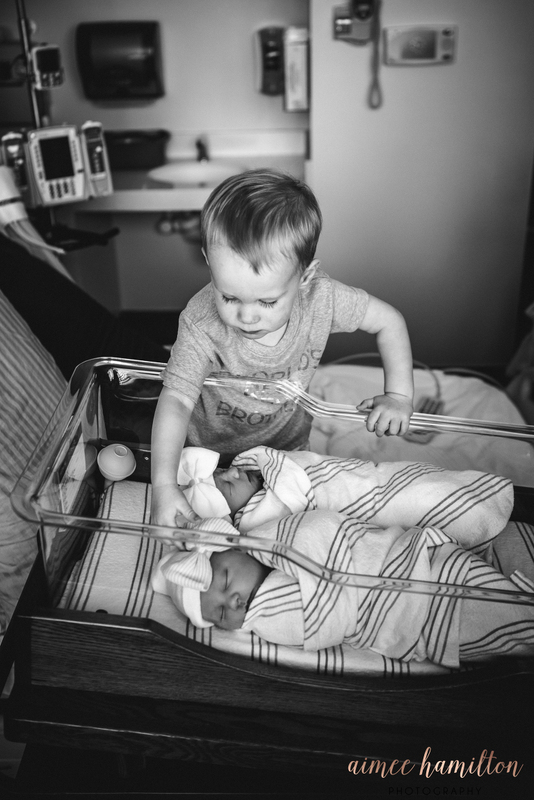 Becoming a sibling can sometimes to be hard for toddlers. They are suddenly not the baby anymore, and mama is holding this bundle of blankets a LOT. What in the world is happening? Sometimes, when I arrive, the older siblings are still getting used to the idea of having a new baby. Other times, they are meeting the baby(ies) for the first time and completely smitten! Either way, I come prepared with tricks up my sleeve to help you and your toddler engage with the new baby! Joy and love shine in your Woodlands Fresh 48 session. 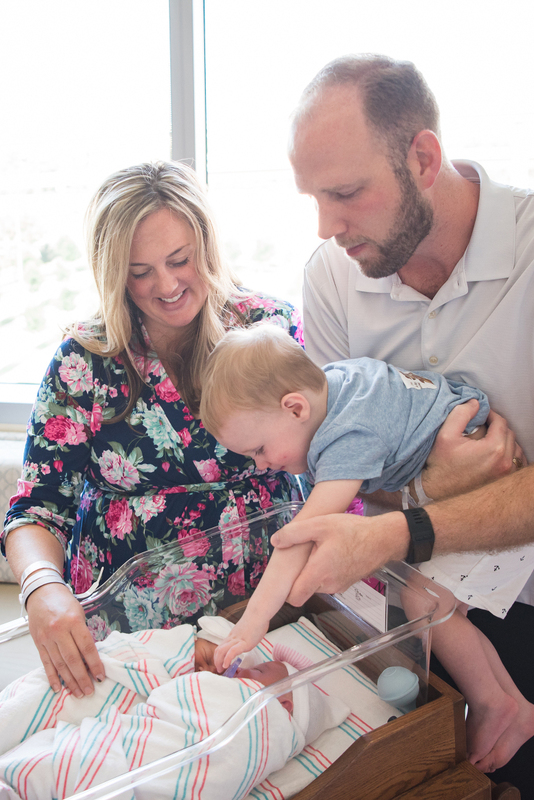 There is nothing like welcoming a new baby into the world! I just love capturing that for families to treasure forever. Albums and mini-books are one of my favorite ways to display those memories! If you are expecting, I would love to meet you and your new love! Connect with me here and let’s chat!